Wildlife Experiences offer a range of consultancy services from fauna and flora surveys, to Land Management Plans, Biodiversity Assessment Reports (BAR), fauna and flora salvaging, ecological surveys to pest plant and animal management. We also have experience in preparing Commonwealth and State referrals as required by statutory and / or regulatory authorities. More information on these can be found under Services. 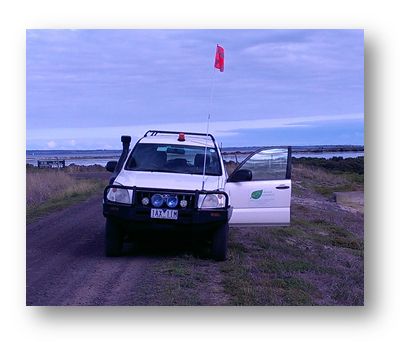 Having an interest in Australia's fauna for many years and conducting fauna and flora surveys across Australia for more than 50 years, John and members of the Wildlife Experiences team are suitably qualified and experienced to assist companies, organisations or individuals regardless of where, on this vast continent. We also have an extensive network of environmental professionals across Australia that we can call on to assist us with local expertise and experience. More comprehensive profiles of our lead staff can be found under Staff Profiles. Testimonials from some of our consultancy clients. Harris, J. (2016). Changes in Victoria's Mammal Fauna since European Settlement. The Victorian Naturalist 133 (3), Field Naturalists Club Of Victoria, Blackburn, Victoria. Harris, J., and Himbeck, K. (2016). Fauna Survey of Currawong Bush Park Warrandyte. Report for Manningham City Council (unpublished). Harris, J., and Himbeck, K. (2016). Fauna Survey of 100 Acres Reserve Park Orchards. Report for Manningham City Council (unpublished). Harris, J., Himbeck, K. and Johnson, N. (2015). Tjirrkarli Project Fauna Survey Report, in Desert Discovery Inc – Tjirrkarli Project, Desert Discovery Inc., NSW. Harris, J. (2014) Fauna and Flora Management Plan for the Wollert to Wodonga West Transmission Pipeline – Loopings 2-5 – Wandong to Broadford and Mangalore to Glenrowan, Monarc Environmental (unpublished). Clay, C. and Harris, J. (2014). Confirmation of the Presence of Stygofauna in the Port Campbell Limestone Aquifer, South-west Victoria. Report for Glenelg Hopkins CMA (unpublished).